Twisted Pines Landscape is your premier locally owned and operated landscape design company. Our service area consists of Spokane, Coeur d'Alene, and most of Eastern Washington locations. We are the Leader of Green Industry landscaping, specializing in low to no water dependent landscaping. We build Natural Northwest landscapes and water features of any scale to put you in harmony with nature and your space. Twisted Pines Landscape provides many convenient services such as landscape design, water features, sprinkler design and installation, tree planting, grass installation, yard care, herbicide and pesticide spraying, sprinkler blow-outs, and snow removal. We have completed some very unique jobs such as designs and installation of school yard playgrounds, back yard all natural pools with water features, decorative fish ponds, back yard jungles, and much more. Let us properly care for your lawn and trees all year with our expert knowledge and service experience. We can take the hassle out of mowing, edging, fertilizing, and landscaping your home or commercial business. We are also well equipped experts in tree and shrub care, maintenance, and routine trimming. Mowing your yard all summer can be a pain in the you know what. Wouldn’t it be nice to enjoy your summer going to the lake and your kids sporting events? Hire us and you can do just that! After all, we know how often and what height to keep your grass, you just worry about putting ice in the cooler to keep your beer cold at the lake! We have expanded our services and now offer herbicide and pesticide treatments. So if you are tired of buying weed killer and pesticides that don’t work worth a darn, give us a call. One of our certified field technicians will gladly answer your questions and provide options to rid you of the pesky weeds and bugs! We stay active year round, so before the ice and snow come, give us a call to be setup on our service rotations. Our services consist of residential and commercial winterizing, sprinkler blowouts, de-iceing, and snow removal. Let us help you design and build your dreamscape! See what Clients are saying about our work! At Twisted Pines Landscape, we step outside the norm and strive to create unique and maintenance friendly projects. 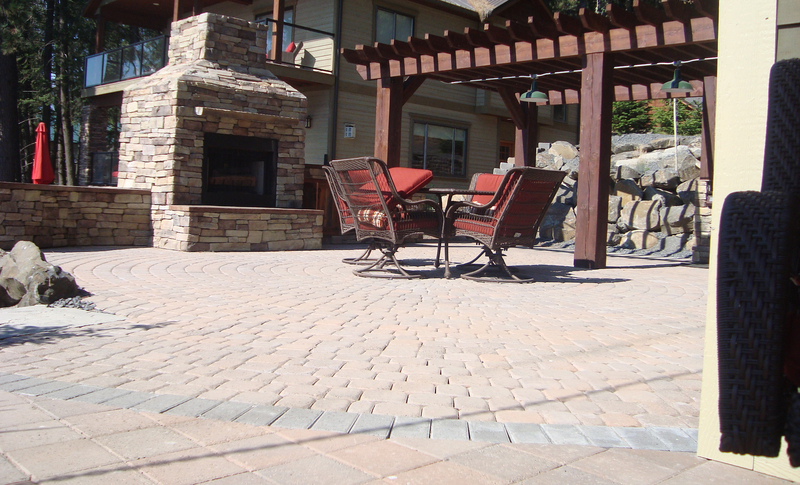 Our work consists of various designs for landscaping, streetscaping, hardscaping, water features, fire pits, retainer walls, swimming pools, and backyard outdoor living and entertainment areas.